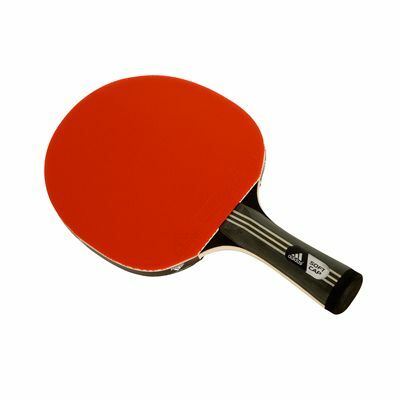 The Adidas Club II table tennis bat is ideal for recreational players who already have some experience, know some basic techniques and have the ability to play certain spins. This high quality bat comes with a 5-ply blade, a flared handle and also incorporates the ITTF-approved rubber sheet (Repulse 500) as well as 1.8mm sponge. The bat features the Soft Cap technology, located at the end of the handle, to reduce unnecessary friction and transfer more precise feedback upon the ball’s impact to provide improved feel and touch. for submitting product review about Adidas Club II Table Tennis Bat.